Down in Houston, Texas, you can find several remarkable individuals celebrating huge milestones this year. Clarewood House Senior Community is home to 11 centenarians. Centenarians, simply put, are people who live to see over 100 years of age. Combined between the 11 residents, that totals over 1,000 years of life. In fact, the Clarewood House is believed to have the most people, 100 years and older, living at one address. These incredible folks have survived and seen everything, from the Great Depression to last year’s horrific hurricane. These centenarians come from all walks of life. They include a World War II veteran, retired teachers, and women who supported their families and businesses all throughout their lives. Recently, Clarewood House threw a huge celebration in honor of the residents who are marking their 100th birthday. It was an opportunity to honor their lives and celebrate a milestone not many are able to see through. 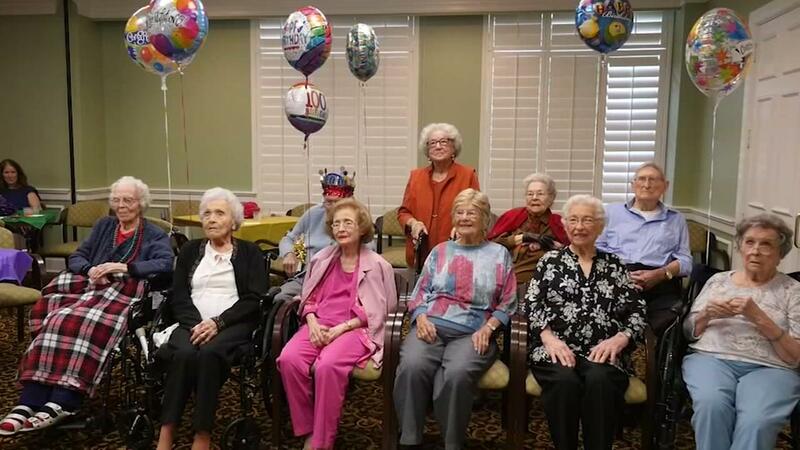 Here are the names of the living legends turning 100 years or older this year at Clarewood House: Margaret Kilty, Helen Brown, Byrom Wehner, Charles Omar Logan, Lena Brenner, George McMahan, Margaret Shearer, Inez Heggie, Laura ‘‘Wini’’ Robertson, Bettye Drisdale, and Virginia Harrell. It is an honor to recognize these extraordinary Texans today. Whether it’s just good genes or working out and eating healthy, reaching 100 years old is a truly remarkable feat. I hope they continue to see many more years of life and want to wish each and every one of them a happy birthday.